38 posts categorized "Creative Workshop"
This summer, join me from July 7-11, 2014 at Copenhagen Institute of Interaction Design's Summer School for a week-long workshop that will help you become a stronger storyteller and improve your product and service design efforts. This workshop, entitled "Happily Ever After: Storytelling in Interaction Design," draws from my semester-long storytelling class that I've taught since 2012 in the BFA in Interaction Design program at California College of the Arts (CCA). You'll take part in individual and collaborative storytelling challenges, which will build up to a long-form story project that will stretch your storytelling and design skills to the limit. The workshop will be co-taught with Mary Sherwin, who helped me build the CCA class and brings her perspective and expertise as a writer, teacher, and master public speaking coach. What follows is the full abstract for the workshop, and you can register for the workshop here. 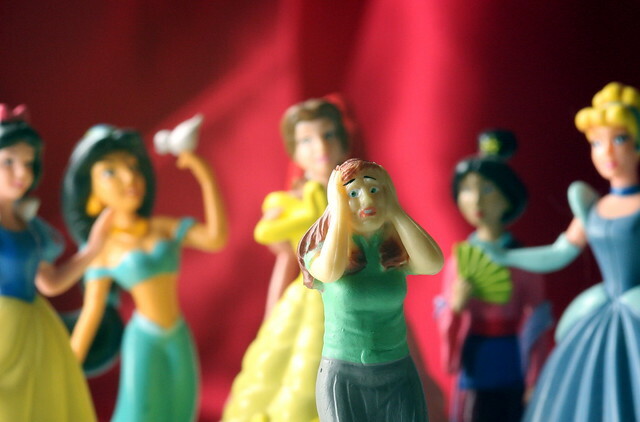 "Happily Ever After: Storytelling in Interaction Design"
Plot. Genre. Character. Conflict. Terms that you usually hear in association with the latest Hollywood thriller or blockbuster novel, not breakthrough interaction design. But as a designer, need to be strong not only at the craft of creating compelling products and services. You need to be able to construct and tell great stories, in the service of advancing the needs of your users and creating desirable, delightful experiences. Requirements for participation: It is encouraged for participants to have a baseline familiarity with the design process, a computer with rudimentary video editing software, and a smartphone/camera with which to take still and video photographs. If you've never been to Copenhagen in the summer, this is one of the best times of year to visit this wonderful city. We hope to see you there! Happy Monday! Here's a roundup of a bunch of recent news about Success by Design, Creative Workshop, and some talks I'll be giving over the next six months. 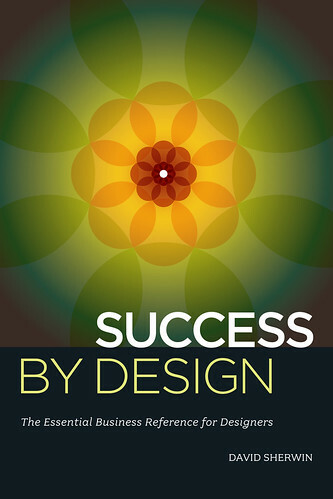 This past week, Success by Design's print edition went on sale through Amazon.com. There will also be an e-book edition that will be available through the usual providers (Kindle, iBooks, etc. AP: Tell me about your new book, Success by Design: The Essential Business Reference for Designers. Where did the inspiration for this come from? DS: The idea for the book came from informal group therapy. When I lived in Seattle, every Wednesday night was dubbed “Burger-Drama” – an assortment of friends and refugees from various design studios, agencies and in-house design departments around the Puget Sound region blowing off steam in the middle of their work week at a local bar and grill. Every time we would meet, there would be a point in the conversation where the “cone of silence” would be lowered over the table. While munching on onion rings and drinking IPA beers, we would share the successes, failures, trials and tribulations of running design businesses. No client secrets. No unverified gossip. Just lessons from the school of hard knocks and the occasional story of a crazy co-worker. Over the first few months of conversation, it became apparent that the majority of our problems had nothing to do with the design work itself. They had to do with being a good businessperson. No matter how many blog posts and books we read, there wasn’t any one in-depth resource we could turn to that would help us answer our recurring questions—and especially not in a fun way! AP: Do you follow all the tips in your book or did you gather from others? DS: Much of what is in the book is hard-fought wisdom from my years working as a designer at studios and consultancies, but much of the text could only be written by collaborating with friends in the industry that had experiences that I hadn’t and that were crucial to understanding design as a business. I reached out to some of my former co-workers and friends in Seattle and curated a series of lectures called “Design Business for Breakfast” sponsored by the local AIGA chapter, co-written and delivered with David Conrad, Erica Goldsmith, Fiona Robertson Remley, and a fellow frog that used to live in Seattle, Justin Maguire. These were client service professionals, project managers, studio owners, and creative directors. The lectures were about providing great client service, structuring and managing projects profitably, cashflow management, how to set up a design studio, and design leadership. The series went over really well, and after spending a lot of time with the material and delivering it in person with these collaborators, it felt like it would make a good book. I just knew that it would take a solid year or so to translate the presentations into a 300-page book. AP: And you’re doing the entire design of this book? DS: Since I’d designed the lectures, it made sense for me to do the design. I really wanted it to balance in-depth content with visual wit and fun… This visual component is lacking in a lot of design business texts, which can be all prose or serious charts and graphs. I think that can be painful for a lot of readers who are visual thinkers. The interview also goes in-depth about the work that went into Creative Workshop and how different readers have been using that text for their personal growth, in design studios, in corporate America, high school and undergraduate design education, and beyond. Last year, two overseas publishers embarked on creating Chinese language translations of Creative Workshop The first one was recently released in Traditional Chinese, and one in Simplified Chinese will follow later this year. The Traditional Chinese edition is available from Flag Publishing in Taiwan, and their website lists a number of providers from which this edition can be purchased across Asia. September 21–23, 2012: "Design Is Hacking How We Learn"
September 27-29, 2012: "Know Thy User: The Role of Research in Great Interactive Design"
October 29-31, 2012: "Know Thy User: The Role of Research in Great Interactive Design"
A random non-sequitur folded into the copy on the screen design. An arbitrary revision of your brand’s color palette. An abstract request for insertion of an additional typeface into your layout. Why would designers, partaking of an applied art, not be fearful of such changes during a project? What would encourage a designer to be open to such tangents? What would make her meander if only for a few minutes’ time, before closing down from the realm of endless possibility to the realm of get this project shipped before my hide is whipped by my boss? While such changes can feel painful at first, and often contrary to the intent you want to bring to your work, they sometimes take you down avenues that defy logical interpretation and plug you back into your intuition. New currents can electrify your design work, encouraging a more poetic design execution. But at first, those new currents may feel more like electroshock than a positive stimulus. In my third year of college, I took a poetry class with a writer named Tan Lin. You can trawl through his read and written work if you want to get a taste of exactly how oblique and maddening some of his poetry was, especially within a conservative English department that leaned perilously into the traditional. Surprisingly, the content of his class stuck with me more than much of what I read when getting my degree, probably out of sheer contrast to the Miltons and Donnes that larded our heavy Norton anthologies. The poets we read included Gertrude Stein, Barbara Guest, Lyn Hejinian, Leslie Scalapino, John Ashbery, and many others on the forefront of American language poetry. Until then, I’d been a purist about what was and wasn’t poetry. I was addicted to meter and form, and have the pile of pantoums and sestinas to prove it. I was the guy lampooned in a spoof campus literary magazine for overusing iambic pentameter—the author parodying lines of mine from a recently published work wrote “blah blah blah” whenever the original words felt like filler. So I didn’t take this class because I thought I would like language poetry. On the contrary—boy, did I hate the stuff. People say that this language-based style of poetry has a dazzling surface to be appreciated… but underneath that surface, there isn’t much river. Trying to find a trickle of meaning in, around, or through the words became what felt like a fool’s quest. That class was an epic struggle between my rigid, meter-bound ear and poem after poem whose slippery internal logic that defied my conception of art. Pile onto that a steady diet of Abstract Expressionist art in my “Art After 1945” class and seeing plays by Ionesco and Beckett in the after-hours and my notion of what art could be exploded to pieces. But there was one pivotal moment in that four months of mayhem that still stands out for me even today. We had been given an assignment to write a language poem. Not an imitation of one of the many authors we’d been assigned. This was meant to be a personal, original work. I sat down and labored over this poem like none other I’d ever written. Okay, that’s a total lie. I bashed out some stream-of-consciousness stuff over about 20 minutes. I just let it ride. If it sounded good but didn’t make logical sense, it went in the work. If it made logical sense to me, it got scrambled up until it sounded good, but otherwise was utter nonsense. This was it. My statement, a big F.U. to my personal beliefs about poetry. That you needed to have capital-I Inspiration strike you from the heavens. That you needed to sit down and write a draft, then perhaps another draft, and after that go through rounds of revision until the meaning of the poem finally revealed itself to you in a crescendo of spondees and trochees. Maybe 30 minutes maximum in the driver’s seat. Leaving plenty of time to have a beer with my roommates, cook some tongue-scorching Indian food, who knows. I turned in this poem, proud of what I’d done. Actually, “pride” isn’t the right word. More like: petrified. I mean, how do you give feedback on something you’ve created where you have zero capability of describing what it’s supposed to mean or why you think it merits someone’s attention? Even today, I puzzle over the many possibilities this statement was meant to elicit. I don’t think he means for me to put Whirlpool appliances and their ilk into this wordfest, though in a revisionist rage I tried such a thing and it was pretty funny. Instead, after much reflection, what I gleaned from his feedback was this: there was no critical frame by which for him to understand the intent of my poem, so his feedback was meant to reinforce that view: that whatever he could throw at me with regard to “feedback” could only help me to clarify how that intent was expressed through the artwork. This makes sense for going out and attempting to make this type of anti-sensical work. But what does it have to do with the realm of applied art and design? As I spent more and more time in design, I realized there were moments you could switch on that anti-sensical mode as a method of generating new material on the page or new perspectives on what you could be making to help solve a client problem. The trick was to not let it overwhelm your path: what you wanted to accomplish with the design. Establish arbitrary criteria for what makes your work good. Most people say they want your visual design to be beautiful or for users to find the flow intuitive and all that other stuff that gets echoed until it’s meaningless. So come up with some criteria that makes your work exciting, like in the case above where you need more refrigerator. I’ve had multiple creative directors who’ve tried to express this arbitrary sensibility through dance, through onomatopoetic sound, through whatever means by which they can give a hint of a design’s character without limiting it to pure logic. Keep in mind, this isn’t something to use in general critique—this is meant to break through roadblocks or force a discussion into a new space. Find material that is unrelated to the work at hand but historically or metaphorically rich. If I was stuck on a problem, I would go and try to For example: In trying to create a more modern layout, I spent a few minutes digging into an Art Deco pattern book, whose stylings I had studied in school but at the time I didn’t like and thought had no application to the current project. Surprisingly, one of those Art Deco patterns inspired a pattern used in the modern work. It wasn’t important to the creative director how I established that pattern, only that it seemed to be fresh—even though it was inspired by a wholly different period in history. The same went for viewing short movies or reading passages from books I kept on the shelf for similar uses. Build brief breaks into your schedule for taking “random walks” into the work. Whenever I was really stuck on a design, I would take 15 minutes to disassemble the entire layout (and any other ones I had attempted), and then randomly reassemble them in a few ways. It was important to do this without thinking about what would make a good or bad solution, just that it was a new arrangement. After I’d done so, there were always one or two paths I could add to my current visual design explorations. Sometimes, it was the pressure release I was looking for in the midst of sharpening an idea until it had started to crumble in the execution. Create prompts that force you into new paths, then follow them. My “Stop Trying Ritual” from a few years back was one of my more effective prompts, inspired by love of the Oulipo and the Fluxus movement. It’s important that you don’t just use other people’s prompts. You should create your own and see where they take you. I’m not sure I’ve recovered from the experience I had in college. Nowadays, I have a few of these poets on my bookshelf, and ever so often leaf through them, puzzling again through what the words speak to me. In graduate school, I found myself willingly signing up for a class with Carolyn Forché in which we would read all 16 books (at the time) by John Ashbery and write imitations. My 19-year-old self would have probably committed ritual seppuku like in Harold and Maude before admitting that I’d even consider doing this. But what I can say is this: any artist’s vocabulary can serve to be expanded outside their range of comfort, just so you have the words at your disposal in the situation you might need them. As a student, this helps to expand your critical perspective. As a working artist or designer, this helps you better orient what you’re doing and break through the boundaries that always slowly slip into place, as you become more deft in expressing your voice. This afternoon I spent half an hour with a few hundred South by Southwest attendees, sharing how my book Creative Workshop: 80 Challenges to Sharpen Your Design Skills came about. I presented the above deck, and answered a ton of diverse questions from the audience. I've tried to capture some of the questions and my responses below. What do you do when you get stuck? I mean, you'll always reach a wall on any design project. Yes, there are always moments on design projects where it seems like the well has run dry. I've found that in those situations, it helps to construct situations where you have to dig even deeper in the well to find more water. One trick that seems to help is to set a goal to come up with 100 ideas on paper in one hour. Sure, you may not reach 100, but you'll have a moment (or two) where you'll stop thinking about making good ideas and draw on your intuition and subconscious. Sure, crap happens during those moments, but so do moments of gold. The point is not to decide whether it's crap or gold until you've had a chance to get a distance from the material, and let it speak for itself. Do different personalities or dispositions gravitate towards specific types of brainstorming methods and design processes? I find this a fascinating question, for a number of reasons. First, designers always gravitate towards more rational or more intuitive processes, just as a matter of how they incubate and execute ideas. So if you give a fairly intuitive designer a highly rational brainstorming method, it's likely that there will be some friction and potential fireworks. However, rote repetition rarely leads to deep design intuition. The point of exploring different brainstorming methods—especially those that oppose your everyday tendencies—is to step outside what you know and explore what you don't. Sure, failure will happen, but taking risks requires such an effort. There's nothing to be afraid of except throwing away what didn't work… so if you're deeply attached to what you create, it's going to hurt. I'm a developer and want to become a designer. What should I do? Be tactical, observing how the designers around you work through a design problem, from initial research to conceiving ideas. Try out activities that utilize those processes. See which ones feel natural, and generate ideas in similar manners. Take on design problems and try to solve them only on paper. Stay out of code and technical architecture, examining how things could be made if there were no reality constraints. Then, when you've started to fall into a rhythm, see what happens when you bring implementation technologies into that process. How should designers work with project managers? As partners, with an appropriate level of give and take. I don't mind project managers drawing wireframes on the whiteboard when the team is grappling with a tough problem. However, they should also feel comfortable if the team begins negotiating dates on the GANT chart. Essentially, a collaboration with open communication and trust, as well as some fluidity involving roles. If you're seeking more design challenges, I've posted on Scribd 10 bonus challenges that I couldn't fit into the printed book. Enjoy! If you'll be at South by Southwest, join me on Friday, March 11th at 5:30 PM for an author's talk about Creative Workshop: 80 Challenges to Sharpen Your Design Skills. The talk will be in Ballroom G at the Austin Convention Center, 500 E Cesar Chavez Street, and the hash tag will be #CWBook. Over 20 minutes, I'll share the thinking behind the book and some of the interactive challenges, then take part in a Q&A. Books will be for sale, and I'll be happy to sign a copy for you. You can add the event to your schedule at the official event listing here. The heavy red curtain comes down with a crash, and the applause is deafening. Walking back to their dressing rooms, the actors and actresses give each other high fives and smiles, proud of their three hours walking the boards. After wiping away the stage makeup, they will slip out the back door of the theatre, unrecognized by the bustling crowd on a busy Saturday night. Such is another successful show, winding down to make room for the next production of the season. Whether Shakespeare or Tom Stoppard, the spirit of a stage production can't be easily captured on film, or experienced through a live simulcast from halfway around the world. Stage performers feed off the energy of their audiences, transforming that electricity into more powerful performances. So, what would happen if this conversation between the audience and the actors were even more explicit? You've been tapped by an Off-Broadway theater in New York City to partner with a playwright in creating an interactive stage production. Instead of the actors breaking the "fourth wall" and asking the audience to vote on a series of possible outcomes, like "The Mystery of Edwin Drood," the audience will be encouraged to send feedback via their mobile devices to the show's director in real time. The director will then use that feedback to shape the show in real time, in constant communication with the actors. Every night, the show could end in a radically different fashion—there would be no set number of outcomes. Additionally, the director could send out prompts to the audience to solicit input on particular story beats. In 90 minutes, design how to facilitate this stage production, from the necessary user flows to describe how mobile devices will be used by the audience, to how the director will communicate narrative changes to the actors. Feel free to identify stage stories that would be best suited for the system you're creating. If you want to take this further, write a brief treatment for the play and what crucial moments will likely attract a sellout crowd, enhanced by the technology you're leveraging. Keep in mind that the more complex your communication system becomes, the more people are distracted from the play they're watching. How can you balance interactivity with the intimacy the actors require from their audience? This is the last creative challenge I'll be posting on ChangeOrder for the next few months. If you want more, snag a copy of my book Creative Workshop: 80 Challenges to Sharpen Your Design Skills. The above photo is by Kevin Dooley on Flickr, shared via a Creative Commons Attribution 2.0 Generic license. While wandering through the Gap, you notice a hat that can broadcast your latest Facebook status. Or a scarf that displays @replies to your Twitter account, writ large in sparkling letters. Or a belt buckle that warns you when traffic becomes busy on your usual route home. Mobile phones and tablets are only the first wave of connected devices—and our notion of what a "device" looks like is going to radically change. I find my designerly eye drawn most to wearable technology: clothing that can gather and display information, provide control to other devices or services, or otherwise remove our notion of the screen-based interface from human-computer interaction. If the current Arduino craze is any indication, our clothing can be enhanced with embedded processors, sensors, and lightweight software that communicates with cloud computers via Wi-Fi or cellular data networks. How do designers create concepts that describe how to exploit these novel uses of technology? In this challenge, you're going to try and envision how a piece of wearable tech can be used by our most demanding technology users: babies. You've been hired by a technology firm that wants your help in devising a line of baby clothing that is able to monitor body heat, pulse rate, blood pressure, and other biometric information. The clothing can then change color or display information regarding what data has been collected over time. In 60 minutes, create a 6-panel storyboard that describes a critical usage scenario for this baby clothing, being sure to clearly show the context of its use. If you want to take it further, move from a drawn storyboard to creating a photo-real video scenario that shows a faked prototype. Or, if you have the skills, a real prototype! The above photo is by Pedro Klein on Flickr, shared via a Creative Commons Attribution 2.0 license on Flickr. Mail = A6 envelope. Chat = speech balloon. Search = magnifying glass. When creating icon systems, designers exploit our familiarity with commonplace physical and lingual metaphors. They are universal, pervasive within our culture. However, by tying ourselves so closely to such analogies—both when considering individual icons and icons that may represent a corporate brand as part of a logotype—we contend with the wide range of meanings that others have already exploited in the world. With this challenge, you'll explore what happens when you mold three of these everyday icons to a uniquely tailored use. Your alma mater has hired you to redesign their campus-wide email, chat, and bulletin board systems. As part of this redesign, they would like you to create unique icons that represent Mail, Chat, and Search. In 30 minutes, create these icons. They must immediately convey to any student, faculty, or staff member that the functionality is affiliated with the school—but without directly integrating any existing official crest, seal, or logo within the icon. If you want to take it further, design the key screens for Mail, Chat, and Search as part of a school-provided mobile application. Want more challenges? The first 24 pages of Creative Workshop: 80 Challenges to Sharpen Your Design Skills are available free on Scribd. Today, I released a free e-book called Creative Workshop: Teacher's Guide. It serves as an accompaniment to Creative Workshop: 80 Challenges to Sharpen Your Design Skills, published in Nov. 2010 by HOW Design Press. This 72-page e-book with co-written with my wife Mary Paynter Sherwin, who was a substantial contributor to the Creative Workshop book and class. The Teacher's Guide describes the pedagogical methods behind the challenges, how to create your own Creative Workshop class or workshop series, as well as how to use challenges from the book most effectively in a classroom setting. This text is intended for teachers of design and creative thinking, but it may also be helpful for designers and creative managers. At that same job, one of the designers kept a mini-whiteboard up to date with her ongoing projects, what’s on her plate, and when she was planning to take lunch—so she wouldn’t be surprised by rogue project managers while she was running out the door. And, of course, there was the ever-ubiquitous promotion by Veer, which was a flip book that consisted of various tongue-in-cheek phrases: "Where am I? Letting someone else do the creative." like only a designer can. In 30 minutes, create an interactive piece of signage you can place on your design studio door, desk, or other clearly visible place. The signage must be easily modifiable to note your current project status, overall mental state, and any other data points that are critical to the health and wellbeing of yourself and your co-workers. If you want to take it further, how would your sign translate into an iPad or screensaver application? Shown above is one of the beautiful monthly desktops created by graphic designer Miss Vu, which are posted regularly to Flickr. Don’t believe it when other designers tell you, “You’re only as good as your last project.” It’s the trajectory of our career that tells the story of our growth as designers. Some designers just keep creating the same project over and over again—which may lead to some solid design work, but it does little to push them into new and unexplored territory. The resulting portfolio will show competency in craft, but little curiosity. Much in the same way that we meander toward the coffee shop around the corner for our espresso fix, breaking ourselves out of professional ruts takes concerted, mindful effort over time. In this challenge, you’ll dive into the nuts and bolts of what makes your work tick, and uncover what new directions you may want to take in the next phase of your career. In 60 minutes, look over at least 10 of the past designs you’ve created. Based on patterns that you detect in use of typography, grid, color, photo and illustration use, and other factors, create an 11"x17" chart that quantifies major trends in your work. Use this chart to highlight opportunities for new approaches you can attempt in the next few months to spur your growth as a designer. And if you're feeling even more adventurous, draw inspiration from the work of Nicholas Felton at Feltron.com and create an annual report of the trends you’ve exhibited across your last year’s complete portfolio, as well as any other artistic outputs. Finding steady employment has been hard for many of today’s designers. A few years ago, when our economy slowed down, many agencies and companies ended up cutting back on marketing, advertising, and other core activities that require designers. In the aftermath, the market was flooded with thousands of highly talented design professionals. In conversations with some of my out-of-work colleagues who have struggled to land a stable gig, many of them are now using their time off to seek out creative and fulfilling work—whether for new clients or for their own personal projects and efforts. For those that haven’t fared well, there often aren’t many stones to overturn for new jobs—and some are falling back on previous professions or other skills lateral to design, until they can land just the right opportunity. This challenge is for you to help convince designers, through design, to not be designers in the immediate future. Your local municipal government has tasked you with creating an eye-catching poster promoting the new career center that just opened in your town—specifically speaking to retraining out-of-work designers. Can you sell your creative peers on why they should find alternative employment? Take 30 minutes to sketch out your ideas. If you have extra time, design the career center from the inside out, knowing you’re creating a space for people to give up what they want to do. What would the experience be like? What kind of materials would a designer receive there regarding retraining that they couldn’t find anywhere else? The above artwork is by Little Brown Pen, a fine art photography and illustration boutique founded by Nichole and Evan Robertson. 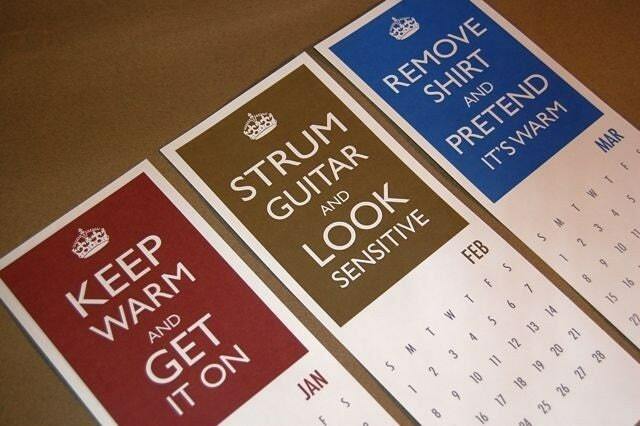 It is from a 12-month calendar that spoofs the "Keep Calm and Carry On" poster that has made the rounds. Could you imagine your own posters in this style that could help guide out-of-work designers? Want more challenges? The first 24 pages of Creative Workshop: 80 Challenges to Sharpen Your Design Skills are available free on Scribd. 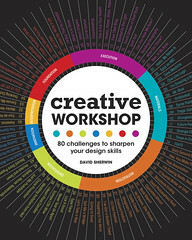 Or you can buy your copy of Creative Workshop from Amazon.com. When learning to play the snare drum, you start by memorizing the rudiments. Once you've internalized single- and double-stroke rolls, paradiddles, and flams, you can being to weave those ingredients together into pleasing rhythms. A similar underlying logic applies to how we improve at constructing design layouts. We have a controlled vocabulary bequeathed to us from Euclidean geometry: lines, squares, circles, triangles. In the hands of masterful designers, these basic forms are submerged beneath dazzling surfaces, working in concert with their own (oft mathematical) inner workings. So, where's the best place to start when looking to acquire deeper skill in manipulating these forms for artistic effect? Let's try a 15-minute challenge derived from the Bauhaus design school, with a collaborative twist. Gather together a group of two or more designers (or non-designers!). In 10 minutes, each of you should create a layout that consists of a circle, a triangle, and a square on a piece of paper. The shapes should be cut from construction paper, then adhered to your master sheet with tape or glue. The size, color, and visual interplay between your three shapes—as well as your use of positive/negative space and foreground/background relationships—are all important. Once everyone has finished, pass your completed artwork to the right. In 5 minutes, you have to inscribe on the page a headline that provides an extra layer of meaning and nuance to the original work. In the above example, Seattle-based designer Claire Kohler pokes some fun at the (very serious) history of the Bauhaus. Perhaps this should pave the way to an @AngryWalterGropius Twitter feed? Want to try your hand at more design challenges like this one? Check out my book Creative Workshop: 80 Challenges to Sharpen Your Design Skills, which has just been released from HOW Design Press. Your ad reads: “Lorem ispsum consequat dolor ix vox populii.” Either your audience is fluent in designer’s Latin, or you need to roll up your sleeves and start writing some real headlines. Crafting copy for a design project can be fun if you have a strong command of your native tongue—though if writing is not your forte, the process can be nerve-wracking. But don’t be scared. You’ve probably been a copywriter at some point in your life. Just think back to when you took a trip to a foreign land. When confronted by cryptic billboards and bewildering ad images, you couldn’t help but write sales copy on the fly. How else could you process that otherwise unintelligible mass of foreign characters atop a smiling, bikini-clad woman clutching a piping-hot cappuccino? Use the following challenge to take a journey into the mind of a copywriter. Within 30 minutes, find a foreign-language advertisement and redesign it with text you’ve written in your native tongue. Try not to adjust the layout to fit your words. What will help this foreign ad make sense to those who speak your language? Click, click, click. Undo, undo, undo. What's more habitual for a designer than the impulse to backtrack after realizing, while making layout adjustments at breakneck speed, that they've unintentionally made their design ideas worse? If the ability to fix these missteps were to magically vanish from our design programs, then hundreds of thousands of designers worldwide would cry out in anguish. Thankfully, we don't have to worry about such a dystopian future. But with a wide range of new devices at our disposal, knowing how to undo is growing more difficult. On my phone, I have to shake it back and forth—risking dropping it on the ground and shattering the screen. And on even larger touch screens, exactly where does Command-Z exist? In this challenge, you'll consider how to solve for this problem. Everywhere. Within 30 minutes, create a gesture that would tell a selected device in your home to undo its most recent action. How would the device receive your command? What peripherals, if any, would be required to send the command? In your last five minutes, document your gesture idea with a brief video. Keep in mind that the technology now exists for gestural input to be captured by almost any kind of device. As an example above and below, I've included work by researchers at MIT (led by Pranav Mistry), where he demonstrates "Mouseless," an experience where people can cup their hands like they're holding a mouse and control the cursor on screen. My First Book "Creative Workshop" Is Officially Out! It's official! 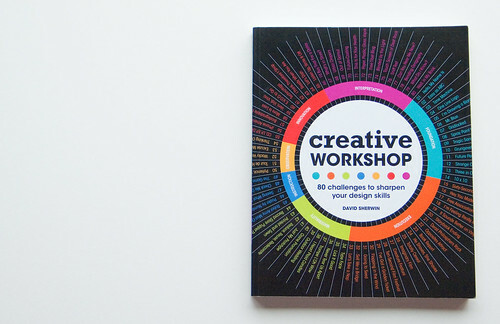 My first book, Creative Workshop: 80 Challenges to Sharpen Your Design Skills, is out now from HOW Books. You can purchase it from Amazon.com, BN.com, MyDesignShop.com, or from a fine bookstore near you. You can also check out the first 24 pages FREE on Scribd. For those of you who have been seeking class worksheets, I've posted to SlideShare handouts that describe timeboxing and brainstorming methods from Creative Workshop, suitable for classroom use. 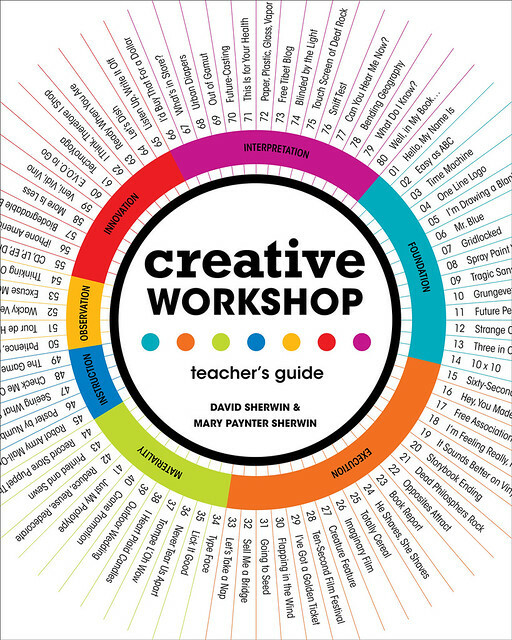 You should also download the free e-book, Creative Workshop: Teacher's Guide. Within a mile of my house, there are a number of high-profile landmarks that I can’t help but share with visitors to Seattle. The Fremont troll sculpture under the Aurora Bridge with a real Volkswagen Beetle clutched in one of his giant hands. The Woodland Park Zoo, with its crowd-pleasing penguins and flamingos. And let’s not forget the organic and fair-trade chocolate factory. All the places I just listed are what you’d call touristy—easily found in a Fodor’s guide alongside every other big landmark in the Fremont district. As designers, we’re often tasked with promoting these big-draw destinations. But every local community, no matter how urban in nature, is full of unique and wonderful spots that have great meaning to its inhabitants—lovely locations that just wouldn’t fit in the hundred dollar guided bus tour. For this challenge, you’ve been tasked with sharing these special places. In 2 hours, create simple, non-invasive signage that explains the provenance of the places that you most often frequent in your community. What kind of information should you include to communicate the importance of each location to both locals and tourists? How can these signs be displayed in a manner that doesn’t add visual noise to your entire neighborhood? Your solution does not need to be physical—it could be digital.